ONE of the archdiocese’s largest deaneries is predicted to experience rapid population growth in the coming years, opening the door for a number of new Catholic schools. The South Country Deanery consists of vast rural parishes including Esk, Boonah and Gatton Laidley, as well as the parishes of the Ipswich Community (Ipswich, Rosewood, Leichhardt and North Ipswich), Booval and Goodna. In 2011, one of the archdiocese’s newest parishes, Springfield, was opened. “The area from Springfield through to the Ripley Valley is expected to be a major growth area for population over the next 20 years – especially for families with school-aged children,” Brisbane Catholic Education administrative services director Michael Kearney said. Demographic projections predict that 50,000 additional primary and secondary school students will be living in the area by 2036, creating a strong need for additional infrastructure. “Typically, around 20 per cent of students attend Catholic schools, so that means we need to provide around 12,000 more places in schools over that time,” Mr Kearney said. 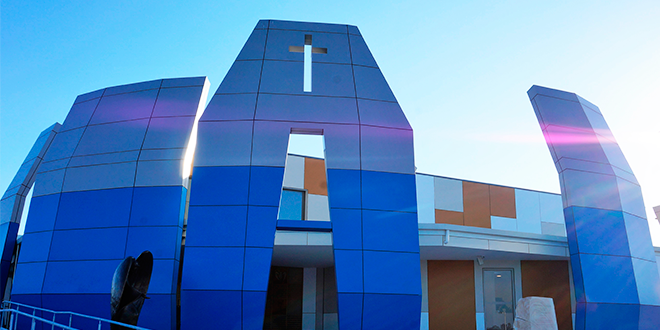 BCE has two schools in greater Springfield – St Augustine’s (Prep-Year 12) and Good Shepherd Primary School (Prep-Year 6). In 2020, the much-anticipated St Ann’s Primary School, Redbank Plains, is due to open, which would ultimately cater for 780 students. 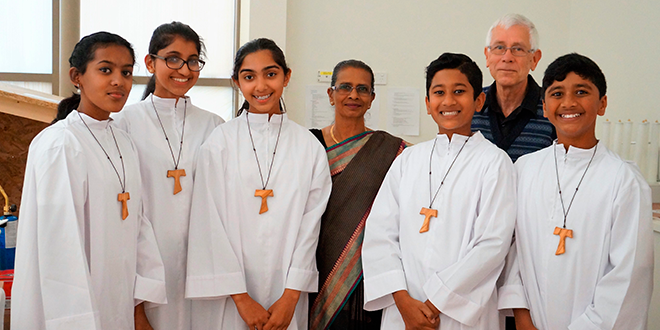 “It’s a return to the area by Catholic Education – (St) Mary MacKillop’s Sisters of St Joseph ran a small Catholic school in Redbank Plains in the 1860s and 1870s, but this closed when a new school was opened at Goodna,” Mr Kearney said. Construction is expected to begin early next year at the 3.2-hectare site on Halletts Road, adjacent to the Cashmere Road Reserve. The next development earmarked for the region is a secondary college at Plainland, near Laidley in the Lockyer Valley. Mr Kearney said BCE was seeking a range of approvals, with the intent of opening the as yet unnamed college in 2021. “When at full size, it’s intended that 875 students from throughout the Lockyer Valley will attend this regional college,” he said. BCE has plans to open a number of other schools in the region in the mid-2020s, including a large Prep-Year 12 college in the Ripley Town Centre, and another secondary college in greater Springfield. Other new schools will be developed in surrounding areas, including Greenbank and Flagstone. “BCE monitors population growth trends closely, and often adjusts future school development to reflect what’s happening,” Mr Kearney said. “Some areas grow faster than expected, so when this occurs, we try to bring forward school openings to meet demand.